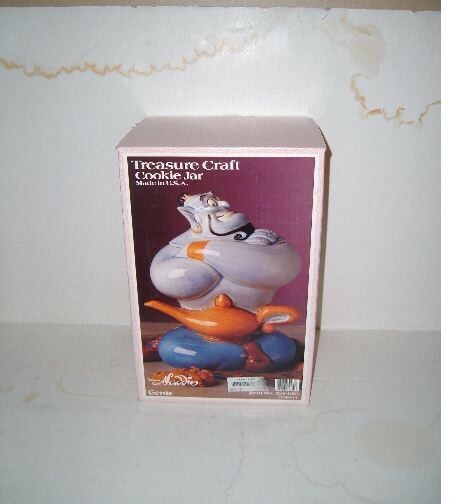 GENIE from Aladdin Cookie Jar by Treasure Craft. This jar is in MINT condition in the original box. The manufacture date is unknown. The jar is from a private collection.